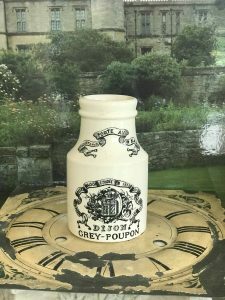 Measures approximately 2.75” diameter x 4.75″ tall . 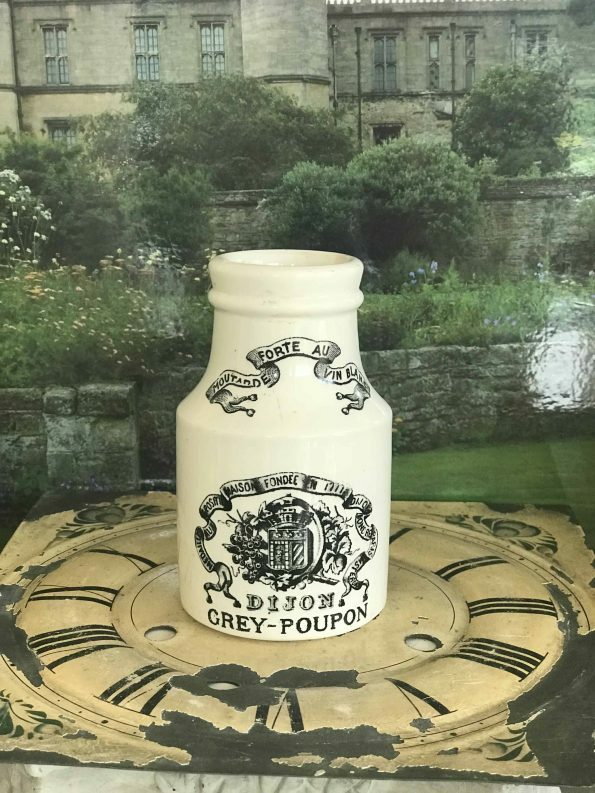 This listing is for (1) French Mustarde Dijon Grey-Poupon LARGE pot printed both sides and bottom markings. Beautiful White pot with Black transfer lettering, wonderful condition. 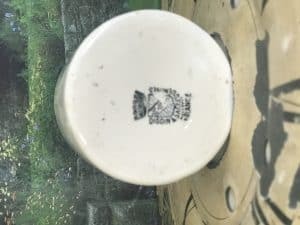 Very Ornate Labeling, which makes it one of my favorites. This pot comes in two (2) sizes. 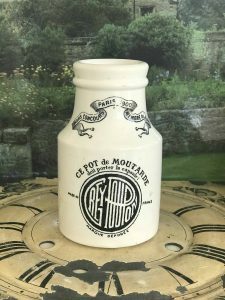 This listing is for the larger pot. Please consider the images as the best part of my description.